Spring is right around the corner! If you are the proud owner of a DSLR camera and are only familiar with auto mode, then this is where to start. Turn the dial and take your photographs to the next level. 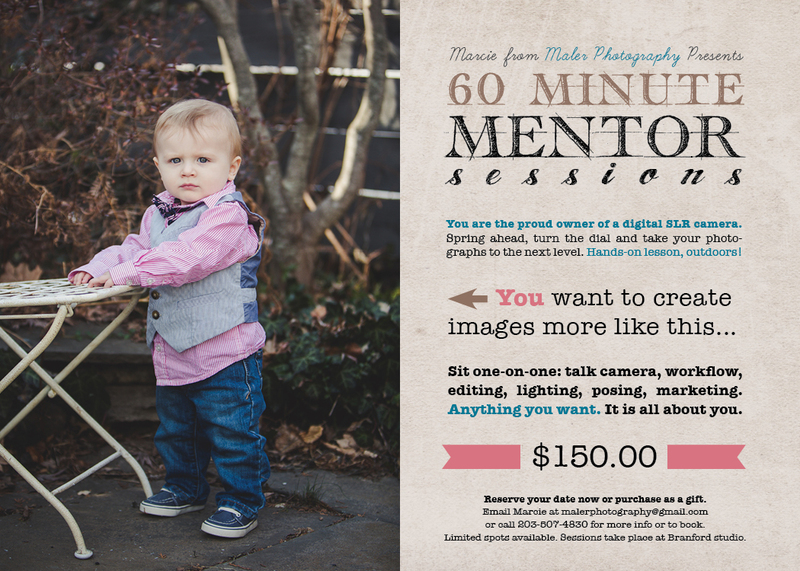 Go hands on and learn how to create a more professional image. As a beginner you will sit one-on-one and discuss basic manual camera settings and exposure. If you are already familiar with exposure we can discuss lighting, editing, workflow, posing, you name it. Anything you want. It is all about you. Contact Marcie to set up your appointment. This can also be given as a gift certificate. Session takes place at Branford studio and last one hour.